When you think of a personal injury lawsuit, you probably imagine a physical injury, like head trauma suffered in a car accident or a broken arm caused by slipping and falling in a grocery store. But Florida law recognizes that there are other types of injuries. For example, under the Florida Telemarketing Act, consumers may seek compensation for certain economic damages. What Is the Florida Telemarketing Act? Q: When are telemarketers allowed to make phone calls? A: The law limits what times telemarketers can call Florida residents. Telemarketers can’t call potential customers before 8 a.m. or after 9 p.m.
Q: What other restrictions does Florida place on telemarketers? A: Telemarketers must say certain things. For example, they must state their real name and what company they work for, along with the product or service they’re trying to sell. Likewise, there are certain things they can’t say. For example, telemarketers can’t say that the only payment method is credit card. They also can’t block their name and number from appearing on your caller ID. There are other restrictions as well. Contact an experienced attorney if you need help understanding telemarketer responsibilities and your rights under Florida law. Q: Do I have any legal options if a telemarketer violates these requirements? A: Yes. You can file a complaint with the Florida Division of Consumer Services, seek a refund, file a lawsuit, and/or get on the do-not-call list. Contact an experienced attorney if you suspect you’ve been injured by a telemarketer who’s violated state law. 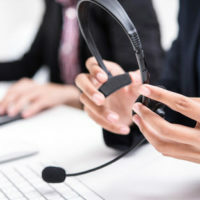 The Florida Division of Consumer Services will investigate your complaint and determine whether to take legal action against the telemarketer, who might be subject to civil and criminal penalties. If you want a refund for the products or services you purchased from the telemarketer then you must request it within seven days after receiving them. If the telemarketer won’t give you the refund, then you may file a lawsuit. Florida allows you to seek both actual damages and punitive damages. Actual damages compensate your economic injuries, while punitive damages punish the telemarketer for violating the law. Finally, you can add yourself to the federal do-not-call list. Some states — including Florida — also maintain a list, so you can add yourself to that one as well. Contact a Fort Lauderdale personal injury attorney at The Pendas Law Firm today for a free consultation if you re injured because a business violated the Florida Telemarketing Act. We will examine the facts of your case and help determine whether you have a viable claim for damages. The Pendas Law Firm also represents clients in the Jacksonville, Fort Myers, West Palm Beach, Orlando, Tampa, Miami, Daytona Beach and Bradenton areas.